If your child has not yet started to read, do not teach sight words. Instead, teach the letters of the alphabet. Once the child has mastered the alphabet, start teaching phonics. This approach prevents and cures dyslexia. I provide a link to an effective and free phonics method at my page on dyslexia. In the late 1920s, there was a crisis in the public schools of Iowa. Suddenly, a large percentage of the children were failing to learn to read in school. Educators wanted to cast the blame for this problem on the children and their parents, rather than on themselves. For that reason, the problem was given a medical‐sounding name: congenital word blindness. Of course, that name is silly. Congenital means present at birth, and no newborns can read. Reading is a skill that is learned after one learns to talk, not a natural ability that is normally present at birth. Today, we use a different medical‐sounding name for the failure to learn to read in school: dyslexia, which means bad reading. Of course, that term was coined to describe the loss of the ability to read, in someone who had suffered a brain injury. It did not originally mean the failure to learn to read in school. To find out the cause of Iowa’s epidemic of dyslexia, the Rockefeller Foundation sent a neurologist to Iowa: Dr. Samuel Orton. Orton found that the cause of the problem was simple. Iowa’s public schools had started using sight words instead of phonics for teaching reading. The schools with the longest lists of sight words had the least success in teaching reading. Ever since the invention of the alphabet, children had been taught to sound words out letter by letter. Unfortunately, the schools in Iowa had started teaching children to memorize whole words, as if English words were pictograms, like Chinese characters, instead of being strings of letters that represent sounds. Orton found that the schools with the longest lists of sight words had the least success in teaching reading. Dyslexia is not a brain disease. It is simply the result of using sight words instead of phonics for teaching reading. Of course, many children will learn to read even if a bad method of reading instruction is used in their school. Like many children, I figured out the phonics code on my own. I taught myself to read at age 4, by analyzing the spelling of the rhyming words in Green Eggs and Ham, by Dr. Seuss. Other children are taught to read outside of school, either by their parents or by a tutor. The rest remain functionally illiterate. Those children and their parents are told that the problem is in the child’s brain, not the child’s school. Some researchers claim that dyslexia is due to a problem with recognizing sounds. Yet the supposedly dyslexic children have no trouble in understanding speech. They just cannot read. Some researchers claim that dyslexia is due to abnormal eye movements. In reality, the poor readers are simply glancing all over the page for clues, instead of scanning the text from left to right. Some brain researchers have claimed that dyslexic children have abnormal patterns of brain activity on brain scans. Of course they do. Those scans reveal that the child does not know how to read. The child is trying to recognize words as shapes instead of decoding the words letter by letter. Some teachers claim that the sight word method works better for some children. However, there is no scientific evidence to support that idea. Many teachers believe that children need a mix of phonics and sight words. But what children really need is a mix of phonics and spelling words. They need to learn the rules of phonics and to memorize the spelling of the words that break those rules. (Note that the whole language approach to teaching language arts suppresses the teaching of spelling, as well as neglecting phonics.) 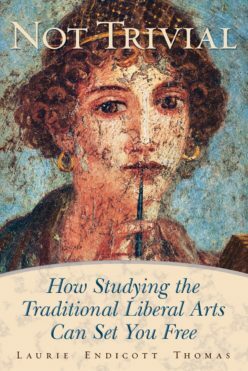 In my book Not Trivial: How Studying the Traditional Liberal Arts Can Set You Free, I explain why the sight word method keeps being used, even though it has long been known to be the cause of dyslexia and functional illiteracy. You can read more about the history of the problem on my page about the Reading Wars. 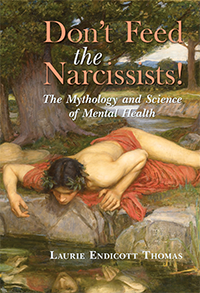 Next Next post: Should Psychiatrists Diagnose Political Candidates’ Mental Illness?